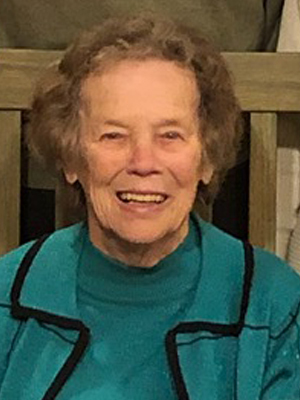 LaVonne “Bonnie” Reller, age 89, entered her Lord and Saviors arms on Friday morning, February 1, 2019. Her beloved family surrounded her bedside at Friendship Manor Health Care Center, in Shakopee, MN. Throughout Bonnie’s life she was a resident of St Cloud, Richfield, Bloomington and Prior Lake, MN. A Mass of Christian Burial will be on Tuesday, February 5, at 11 am, with a time of gathering 2 hours prior, at St. Michael Catholic Church 16311 Duluth Avenue SE, Prior Lake. Father Xavier Goulet will preside. Pall bearers will be her grandchildren. A private family interment at Gethsemane Cemetery, in New Hope, MN. Memorials are preferred and will be distributed in Bonnie’s memory, by the family. Mathew and Loretta Marie (Orth) Malisheski proudly announced the birth of LaVonne Ann on December 29, 1929, in St Cloud, MN. The third child of four, she has fond memories roller skating and ice skating at Lake George. As a family, they were blessed to have enjoyed vacations and taking train rides around the country. As a young girl, Bonnie was given a baby chicken with crippled legs. She nursed Fluffy back to health, happily pushed it around in a doll buggy and unfortunately found it on the platter one Sunday afternoon. Which devastated her. Bonnie first attended St. Mary Catholic Grade School and then graduated from St. Cloud Tech High School in 1947. Through mutual friends, Bonnie was introduced to Virgil Stephen Reller. He was a man who had good Catholic morals. They courted for 5 years and on May 26, 1951, they wedded at St. Mary Cathedral in St. Cloud, MN. Bonnie and Virgil were blessed with children from God, Gail, Gary and Mary who passed at birth. Bonnie’s life was devoted to her family. She did work various jobs, with most of her career with Republic Airlines (now Northwest Airlines), as a ticket auditor. Through the years, the entire family has been able to reap the benefits of being able to travel the world. Bonnie’s favorite trips were to Europe 9 times, Holy Lands, Medjugore, Lourdes in Fatima, along with host of other special destinations. The Reller family celebrated Bonnie and Virgil’s 40th Wedding Anniversary in Hawaii, 45th on a house boat in Voyager National Park and their 50th Anniversary, on a bus tour exploring Europe. For about 17 years, the Reller family enjoyed gathering together year around at Bonnie and Virgil’s cabin on Round Lake in Frederic, WI. She loved to entertain family and friends. Bonnie spent countless hours preparing food for everyone, for she was an amazing cook. Upon selling the cabin in 1997, Bonnie and Virgil purchased a winter home in New Port Richey, FL. The family gatherings continued, playing Bridge, Cribbage and cards, especially 500. Bonnie’s strong faith foundation was established before she could even talk, because of her parents’ examples. Throughout her life, Bonnie was a huge supporter of Pro Life Across America, Pro-Life Action Ministries, Human Life International, MN Citizens Concerned for Life, Christian Mothers and missionaries for the poor. Her parents taught her to be wise, pray often and God will provide for you! Devoted to her family and faith, Bonnie had this calming and loving personality. She was quiet in nature, never boastful and amazingly generous. Her life’s examples are now left to rest in her family of husband, Virgil; daughter, Gail (John) Cassady; son, Gary (Lin) Reller; grandchildren, Shannon (Jeff) Jackelen, Bridget Cassady, Aimee (Chris) Futrell, Chelsea Reller; great-grandchildren, Dylan Jackelen, Brianna Jackelen, Nora Jackelen, Braeden Futrell, Owen Futrell; sisters, Evie Patrick, Elaine Orth; other relatives and friends. Bonnie was welcomed home in heaven by her parents, Mathew and Lorretta (Orth) Malisheski; brother, Robert Malisheski; brothers-in-law, Peter Patrick and Otto Orth. Ballard-Sunder Funeral and Cremation proudly served and cared for the Reller family. I remember Aunt Bonnie’s smile. She was always so happy to see me my entire life and made me feel welcomed and special. I inherited a huge prayer list from Mom before she passed and I can assure you all that I will continue praying for you and your family. Uncle Virg, I’m hugging you, Gail, and Gary (and all) right now and wish I could be there to hug you all in person. God bless you all!! Aunt Bonnie was such a beautiful, sweet lady! I felt that she was so much like my mother. Quiet, loving and a devout Christian. Our love and prayers to your family! I’m so sorry to find the news of Bonnie’s passing from my brother Virgil. She was a great loving mother and so proud of their fine family. She had wonderfully long life and the best of the many games she like play. We shall all miss her so very much.